Julian Clef was born on the 28th July 1990 in the state of Kerala, India. He was “spotted” in India by Mrs. Linda John who recognised that he had exceptional talent & needed to be assessed by eminent pianists who could advise on his potential. He received no formal piano training until 2006 when he accepted by Chethams School of Music, in Manchester. He then studied piano under the direction of Murray McLachlan until he graduated with a B.Mus (Hons) Degree. In spite of his limited resources in India, Julian pressed ahead with the development of his skills and with the help of his father, undertook many concert performances in front of admiring audiences. Of particular note was a “piano marathon” when he played at the age of 12 for a period of 12 hours to promote the issue of peace. In May 2005, at the age of 14 Julian came to England to perform in the Rotary Young Musicians Concert in Derby. He took part in the Mansfield Music Festival the same year and won the trophy for the piano open class. Very early in Julian’s career, international concert pianist Benjamin Frith concluded “Julian has a musical and pianistic maturity well beyond his years. He gives performances of great beauty, without mannerism or distortion. Already very experienced, he is totally composed on stage and he possesses a remarkably relaxed technique with which he brings the music so vividly to life”. Julian was the Winner of the RNCM Gold Medal in 2011, graduating from RNCM with a B.Mus degree in 2012. He went on to gain a Master’s Degree in Music under the guidance of Professor Dina Parakina from Russia. Julian is now studying for an Advanced Diploma in Performance at the Guildhall School of Music in London under the tuition of Ronan O’Hora and Martin Roscoe. 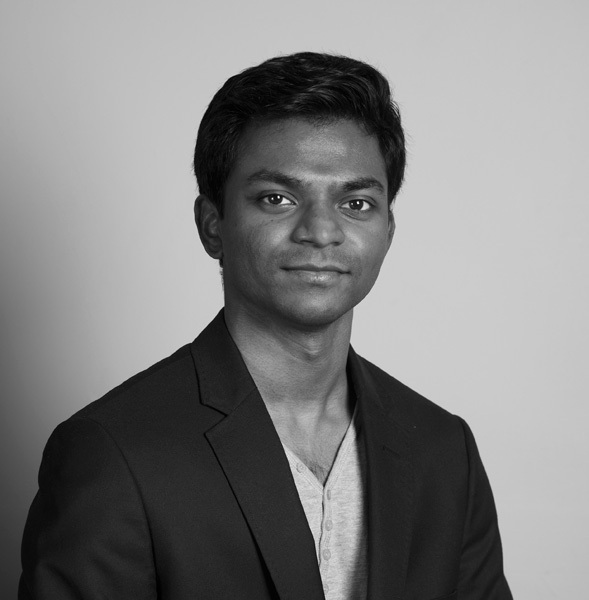 He has performed in many venues around India & across the UK including Buckingham Palace, St. Martin in the Fields & the Foundling Museum in London, Leeds College of Music, Royal Northern College of Music and St. David’s Hall in Cardiff & the Pump room in Bath. In September 2007 he visited Norway to perform in the Trondheim Chamber Music Festival and in the Edvard Grieg Museum at Troldhaugen. He has also given solo recitals in Hamburg. 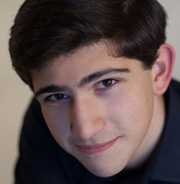 Julian has performed as soloist with the Nottingham Youth Orchestra at the Albert Hall, Nottingham and with the Heisenberg Ensemble at St. Andrew’s University. 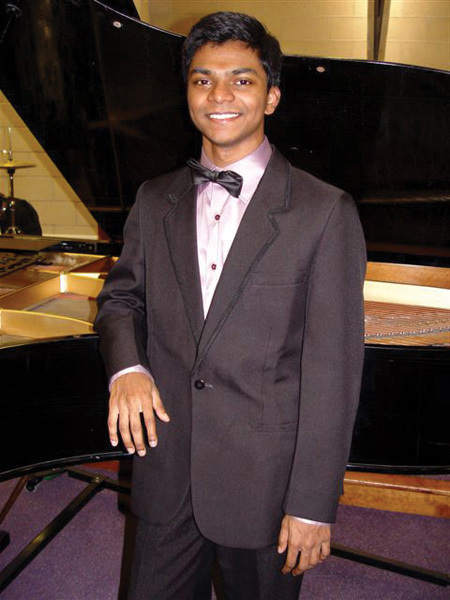 Julian has benefitted from lessons and Masterclasses from leading international concert pianists including Bernard Roberts, Peter Donohoe, Bruce Morrison, Noriko Ogawa, Yonty Solomon, Leon McCauley, Nadia Lasserson, John Lill and Colleen Athparia. The highlight of 2012 was an invitation to Julian in July to have Masterclasses from the legendary Andras Schiff at Beethoven Haus in Bonn, Germany. This culminated in Julian performing at a concert in the great master’s house. He has taken part in and won prizes in many competitions. 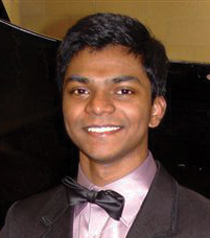 Julian won the EPTA (European Piano Teachers’ Association) UK Piano Competition in 2007, the 2008 Beethoven Junior Inter-Collegiate UK competition held in London by the BPSA (Beethoven Piano Society of Europe) and the William Mathias Festival competition in 2009. In 2010 he was the winner of the RNCM Concerto auditions which enabled him to perform the BARTOK Concerto No. 2 with the RNCM Orchestra. Julian won the RNCM Gold Medal in 2011. In September 2011 he performed at the Rising Stars series in Canmore, Canada and in the Gift of Music series at High River near Calgary, Canada where he was very well received. In March 2012 Julian performed the Rachmaninov No.2 Concerto to great acclaim with Berkshire’s Crowthorne Symphony Orchestra. After a September 2012 performance in Prague at the Dvorak Festival he was soloist with the Nottingham Symphony Orchestra in November 2012, playing the Schumann Concerto. Early in 2014, Julian performed as a soloist with the De Havilland Philharmonic Orchestra playing the Beethoven Piano Concerto No.4 and also performed the Brahms Concerto No. 1 with the Athenean Ensemble. He also performed in ‘Pianoworks 2014’ at the Cadogan Hall with an international line up of four brilliant young concert pianists. Julian’s 2015 concerts included playing solo piano in the Beethoven Triple Concerto with Nottingham Symphony Orchestra in the Albert Hall Nottingham and then again in the Royal Festival Hall in London, in November a recital at the Reform Club, London and being showcased by Sir Andras Schiff in Berlin, Frankfurt, New York, Zurich, Brussels & Dusseldorf in December 2015 / 2016. Julian wishes to acknowledge his gratitude to the Guildhall School of Music & Drama, Talent Unlimited & his family & friends who have supported him.